The Nissan e-NV200 offers city van operators a clean, cost-effective alternative to a diesel-powered vehicle and can be ordered in van form or in Combi guise with up to 7 seats. Quiet, with impressive pulling power, this improved version features a longer operating range. Here's a forward thinking way to promote an ethical and responsible urban approach to business. Some vehicle developments leave you scratching your head. Did we really need a bigger MINI? Why do coupes need four doors these days? What were the team that came up with the Renault Avantime thinking? Then there are some new vehicles that make all the sense in the world. Put Nissan's e-NV200 firmly in that category. 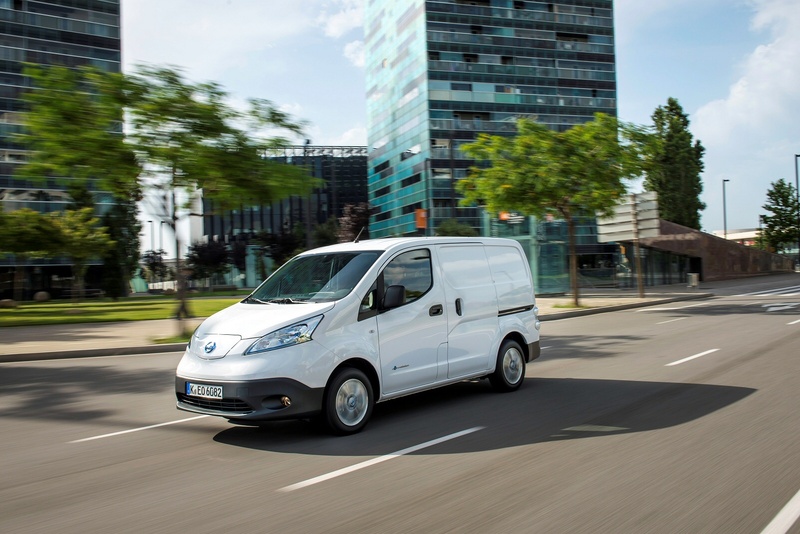 The market for small city vans has taken off in the last few years and if you're going to be covering fairly low mileages in places where emissions are an issue, electric power makes all the right numbers. 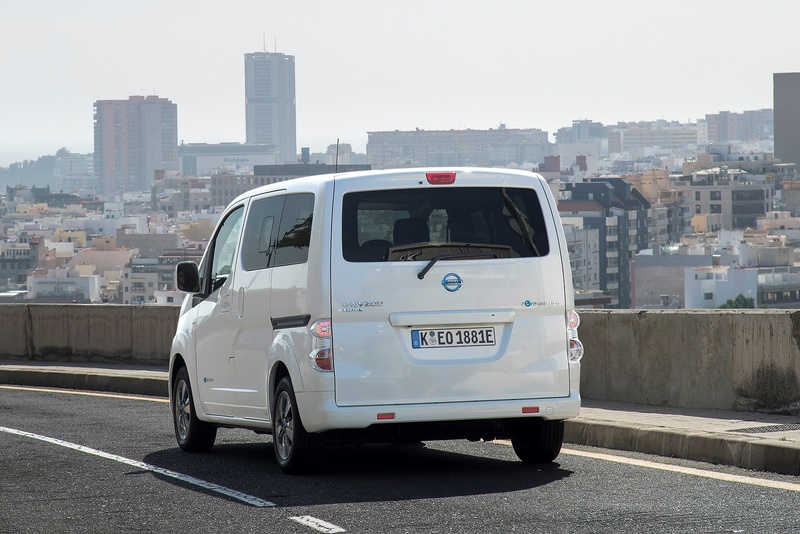 Given that Nissan's experience with the LEAF has armed it with a huge amount of experience in electric vehicle development, it's hardly surprising that the e-NV200 offers a great deal of credibility when it comes to plug-in power. If you want a small van or commercial people carrier that lacks an internal combustion engine, don't worry. Nissan has got this. The e-NV200 shares a base vehicle platform with the Nissan Micra, which should give you an idea of quite how compact this van is. The 1.5-litre diesel engine is ditched in this instance for an 80kW AC synchronous motor, which is fully integrated with the battery charger and inverter in one compact, self-contained unit. There's MacPherson strut front suspension and a torsion beam rear, and the Lithium-ion battery has been designed to fit under the cargo floor without impinging on available space. This battery pack is 40kW in size and packaged very efficiently. This battery assembly also helps boost the torsional and lateral stiffness of the vehicle by 20 percent and 35 percent respectively over an ordinary NV200 and helps reduce the centre of gravity. This also aids ride and handling, while the instant torque delivery is perfect for stop and start city driving. It's quicker than the diesel van to 62mph too, eventually running out of amps at 75mph. One thing's for sure. 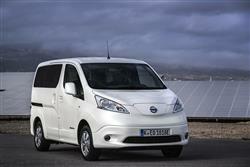 You're probably not going to mistake the e-NV200 for its more conventionally-powered sibling. While the diesel model looks a pretty modern thing, the electric version has a very different front end. This adopts the styling cues of the Nissan EV "face" that will be familiar to LEAF drivers, with a central charging door and blue-tinted LED headlights. Arrow-like positioning lamps sit within the crescent-shaped headlamps and glow a distinctive ice blue light colour. LED bulbs are used in the rear lights of all versions as well as at the front on passenger models. The blue theme extends to the e-NV200's badging. Inside, there's a new instrument panel with a digital read out. Digital information includes readouts for vehicle speed, state of charge and vehicle range, while a power meter shows the state of motor output/regeneration. The instrument panel is completed by a multi-function display that provides other time, distance and speed information. The van version features a cargo area of 4.2 cubic metres, can accommodate two standard Euro pallets, while sliding side doors on both sides and wide opening rear doors ease loading. 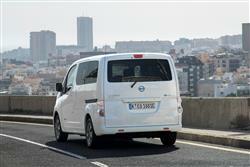 Alternatively, Nissan also sells five or seven-seat Combi models. The seven seat version is configured with two seats in the front, three in the middle and two in the rear. Both the second and third rows can be folded to allow for larger quantities of luggage to be carried, making this variant a hugely flexible vehicle for commercial or private use. The second row rolls forward and the third row folds to the sides to open up an enormous 2.94 cubic metres of cargo capacity, which is enough to transport three bicycles with the wheels in place, unique in this class. With all three rows in place, the luggage capacity is 443 litres under the tonneau cover, and up to an impressive 870 litres when measured to the roof line, allowing the possibility to carry seven people and a large volume of luggage. Right, are you paying attention? 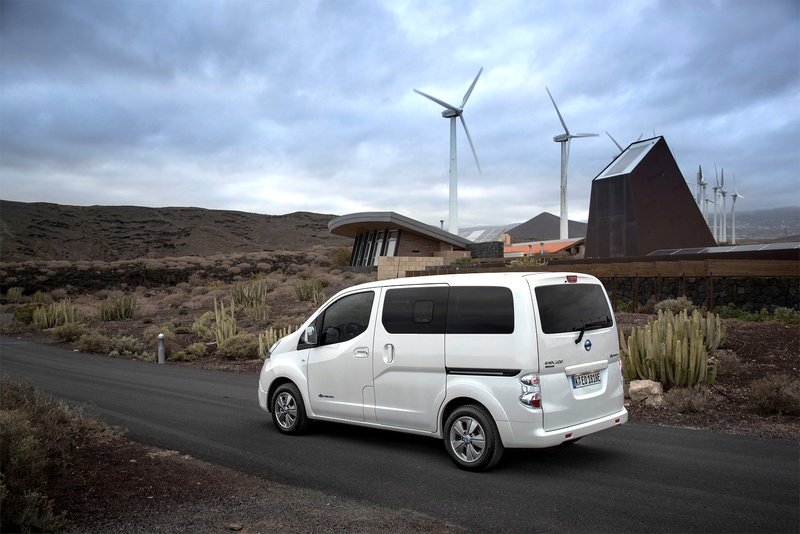 The pricing of the e-NV200 requires a bit of working through. 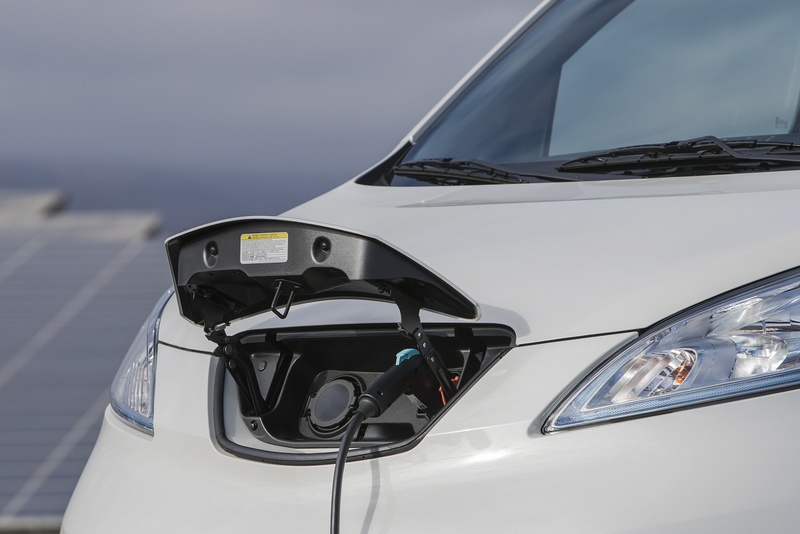 Unlike the diesel van, customers can either choose to buy e-NV200 outright or opt for the 'Flex' option, which involves leasing the battery, therefore reducing the upfront purchase price. Whichever option they choose, these e-NV200 models qualify for a Government grant - up to £8,000 as a Plug In Van Grant for the van. 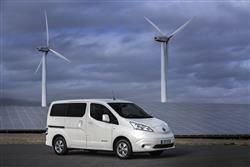 And up to £5,000 as a Plug In Car Grant for the five-seater combi passenger version. Prices for the seven-seat version start at around £20,000 (incorporating offers and the Government Plug-In Car Grant) for those choosing the convenience of the Nissan Flex battery leasing option, and from about £24,500 (inc PiCG) for those purchasing outright. The van in Acenta trim includes equipment like a rear view camera, electric windows and iPod/MP3 stereo compatibility. You can also go for the Acenta Rapid, which includes a rapid charge facility or the Rapid Plus which includes onboard 6.6kW on-board fast charging. Tekna trim (available in Rapid or Rapid Plus guises) includes more safety gear, cruise control, a multifunction steering wheel, a loadbay protector, four speakers rather than two, coloured bumpers and alloy wheels. If you�re looking for a new Nissan E-Nv200 Env200 Electric 80kW Visia Van Auto 40kWh 50kWCh for sale, you�ve come to the right place. 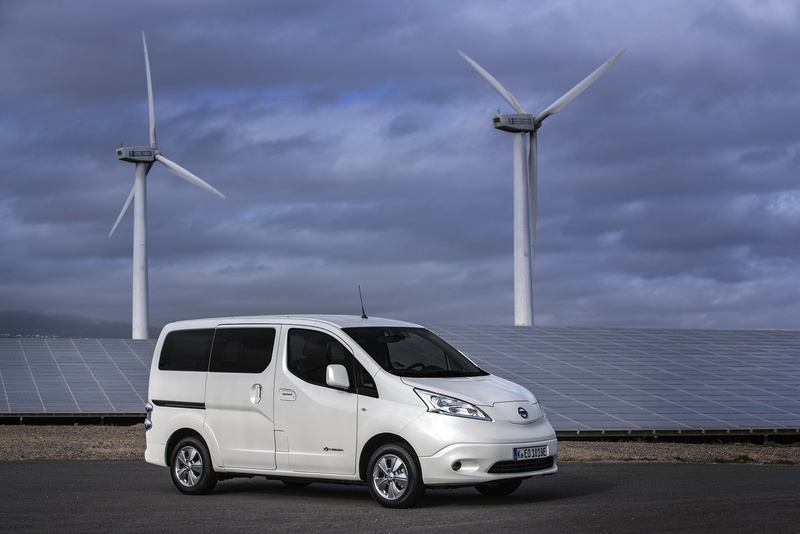 At Bristol Street Motors we don�t just have the best Nissan E-Nv200 Env200 Electric 80kW Visia Van Auto 40kWh 50kWCh deals, we also offer friendly advice and help with all your enquiries to ensure your buying experience is a happy experience.